I don’t know about you, but I like the sound of my own voice. I think this puts me among the minority. Oh well, I’m already deep in that category so what’s one more qualification? And when my voice comes wrapped up in a podcast, even better! And when said podcast is a collaboration between my fellow blogger & cousin Serksalem and myself, and is about the many joys and challenges of diaspora habesha life, double better! I am happy to announce this newest podcast on the block: HypheNation: A Diaspora Life! 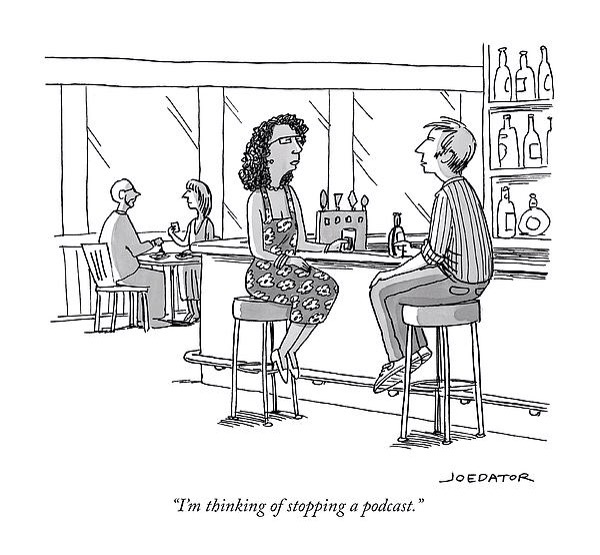 We came across this New Yorker cartoon while we were in the very lengthy and ultra relaxed process of creating this podcast. I like to think that with the launch of HypeNation, we are stopping the lack of podcasts that explore matters that matter to the global habesha diaspora.